Significant advancements have been made in our understanding of the role of non-structural carbohydrates (NSC; starch + sugar) in the horses diet to benefit for horses with a number of issues including insulin resistance, equine metabolic syndrome, hyperactivity, obesity, ulcers and developmental orthopedic disorders. Consequently, there has been an explosion of both discussion on reducing NSC in the diet and the availability of “low NSC” products. 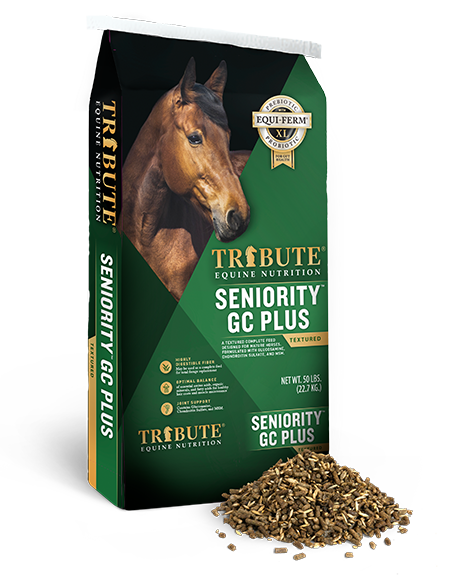 Ultimately, this is a positive trend in the area of equine nutrition but NSC value is only one consideration in choosing the best nutrition program for your individual horse. All common feedstuffs, with the exception of refined fat ingredients, contain some quantity of NSC. Digestion of starch in the foregut of the horse liberates glucose for absorption in the small intestine. An increase in blood glucose signals for the release of insulin from the pancreas. Insulin’s role is to direct glucose to peripheral tissues, notably muscle, to maintain blood glucose within normal levels. Glucose is required to replenish muscle glycogen to support muscle energy requirements during intense exercise. In some horses, normal levels of insulin are unable to maintain blood glucose, resulting in increased insulin secretion and insulin insensitivity. Insulin resistance increases the horses risk for laminitis. 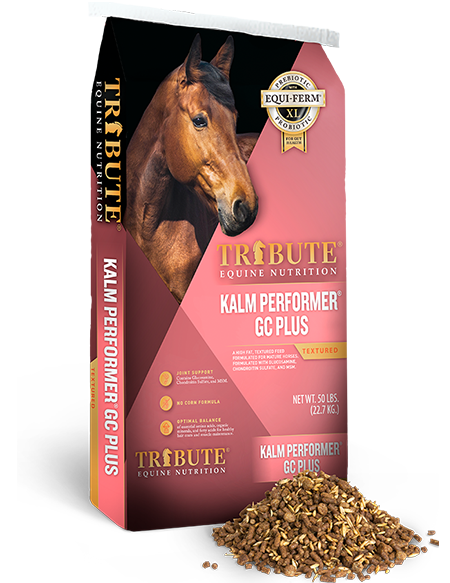 For the metabolically challenged horse, limited NSC intake is key to reduce risk of laminitis. However; non-structural carbohydrates are an important source of energy in the non-metabolically challenged performance horse’s diet. We must ask the question of what is the appropriate balance of “low” enough NSC to avoid potential negative impacts on health but still support optimal performance in the healthy horse. While not all horses require an extremely low NSC feed, there has been a fundamental shift away from feeding traditional sweet feed, which can be as high as 50 % NSC. High NSC diets can contribute to hyper-excitability and also increase the likelihood of gastro-intestinal upset, both of which contribute to decreased performance. Ulcer-prone horses can especially benefit from a reduction in NSC because sugars can be fermented into acid in the stomach. Further, diets high in NSC that are fed in large quantities may result in starch bypassing digestion in the small intestine. Starch reaching the hindgut of the horse is rapidly fermented and the end-products of that fermentation alter the environment of the hindgut to be less hospitable to the normal population of fiber digesting microbes and ultimately can result in symptoms of hindgut upset such as gas, diarrhea and in extreme cases, compromise the lining of the hindgut. Horse feeds are often judged on their appropriateness for a given horse based on the percentage of NSC and while the percent of NSC in a pound of feed is valuable information, it must be taken in context with feed intake. A single pound of a 50 % NSC feed would contribute the same quantity of NSC as four pounds of a 12.5 % NSC feed (0.5 lb). Percent is not a unit of intake. Research conducted by Tribute Equine Nutrition in conjunction with Cooperative Research Farms has indicated that blood glucose and insulin spikes following a concentrate meal are minimized in the normal horse if NSC intake per meal is limited to 0.1 lb per 100 lb of body weight. This is equal to 1.0 lb of NSC per meal for a 1,000 lb horse. Horses with metabolic syndrome should be limited to 0.05 lb/100 lb body weight and 0.025 lb/100 lb body weight per meal in extremely sensitive horses. Diets providing a balance of energy from highly digestible fiber, fat and a moderate inclusion of NSC (<0.1 lb/100 lb BW) support performance while minimizing issues related to high NSC. Low NSC concentrates may not provide enough glucose for glycogen repletion. Glycogen repletion between exercise events is key to maximize performance and decrease the risk of injury due to early onset fatigue. 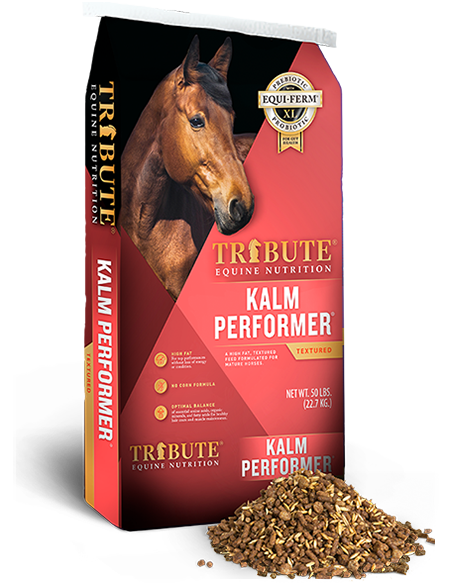 The source of fiber in a performance horse’s diet is key to ensuring sufficient energy is available to support performance. The foundation of the horse’s diet should be high quality forage and fiber provided through the concentrate (grain) should be in the form of highly digestible fiber. Highly digestible fiber will be found in the ingredients of a feed tag as beet pulp, soy hulls and dehydrated alfalfa. Rice hulls and oat hulls are ingredients that are poorly digested by the horse that can be found in some high fiber feeds and are classified as roughage products when umbrella terms are used in a least-cost formulation. As fitness increases a greater proportion of fat can be utilized for energy, sparing muscle glycogen, which has the added benefit of decreasing lactic acid production. It was long held that horses had limited capacity for digestion and absorption of fat because they do not have a gall bladder and the natural forage diet of the horse is 2 – 3% fat. More recent work has found that horses can digest up to 20% of the total diet as fat; however, fat fed at this level has the potential to escape digestion in the small intestine and negatively impact fiber digestibility in the hindgut. Feeding a high fat (10-12%) performance feed at recommended levels will not increase total dietary fat to the level where fiber digestibility may be impaired; however, care should be taken when supplementing additional fat with a high-fat feed. Strategies to support energy requirements of high performing horses without the risk of high NSC diets include replacing cereal grains that are lower in small intestinal digestibility (corn and barley) with highly digestible fiber or fat to meet energy requirements. If greater energy is required to support high performance a low inclusion of oats, which are highly digestible in the small intestine, can be utilized in conjunction with digestible fiber and fat. The NSC intake per meal should be evaluated and if it exceeds 1.0 lb per meal for the 1,000 lb horse the same quantity of concentrate can be split into a greater number of meals per day. 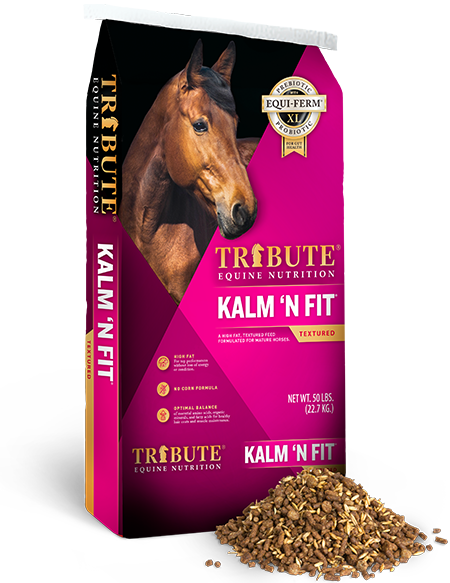 Feeding a low NSC product without consideration of fortification of other essential nutrients will not support optimal health and performance of the normal horse and may not provide sufficient energy for recovery between exercise events. 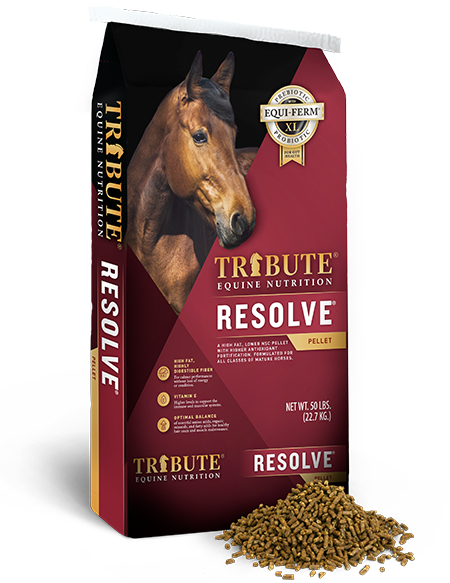 Look for a performance feed that provides a balance of moderate NSC, high fat and highly digestible fiber while also supplying amino acids, minerals and vitamins in adequate quantities.